The following are the major vehicles in the Public Works fleet. The City also owns other smaller vehicles, including a medium-sized weed-moving tractor, some pickup trucks, a crack-sealing trailer, and other utility trailers. The crack-sealing unit was purchased in 2000, and a tac / seal coat sprayer was also purchased in 2002. 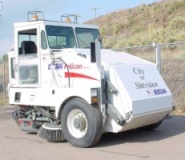 The street sweeper was purchased in 2000. 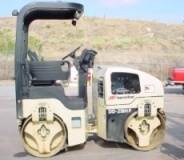 The three and a half ton asphalt roller was purchased in 2001. 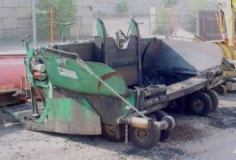 The asphalt pull box was purchase in 1999. 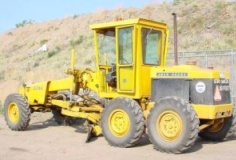 The street grader was purchased in 1975. 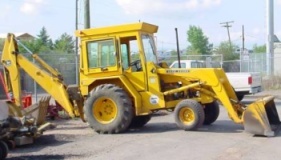 The back hoe and skip loader was purchased in 1979. This dump truck was purchased in 1983. 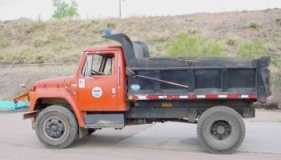 In all, the fleet has two dump trucks, which are also used as plows and sanders for snow removal during winter months.